Who does not like to fly? That’s right, everybody likes it! 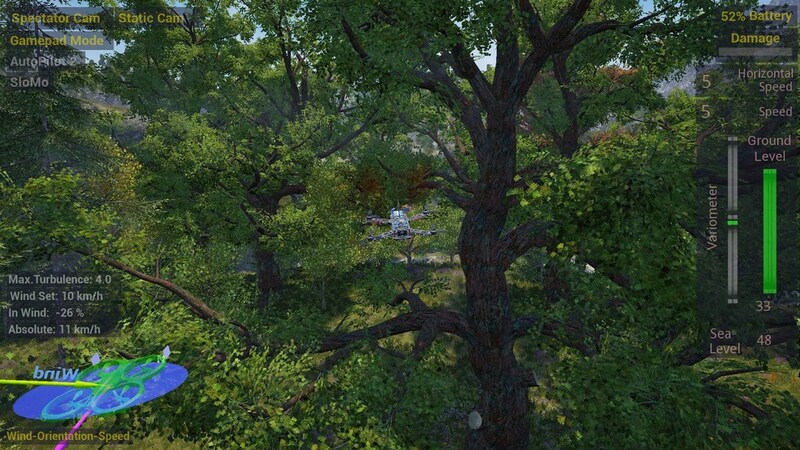 In Airsports Quadro you can navigate many different vehicles and tune them in whatever way you like them to fly. 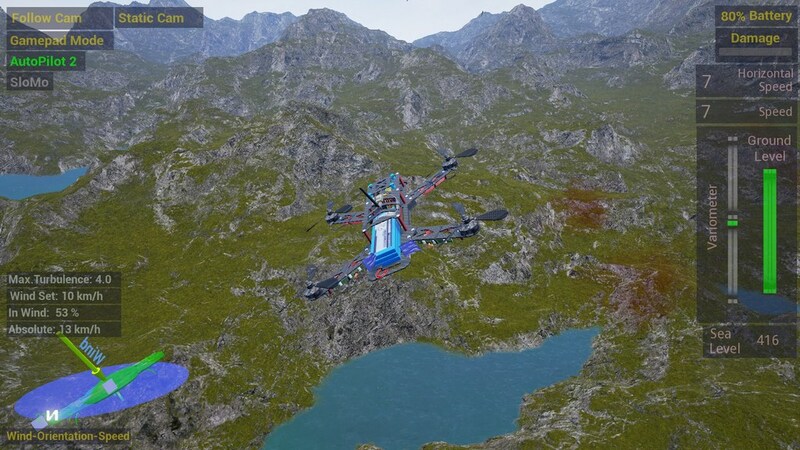 Be ready for planes, gliders, helicopters, quadcopters and more. Take them all on a spin and beat the most challenging races and stunt contents! 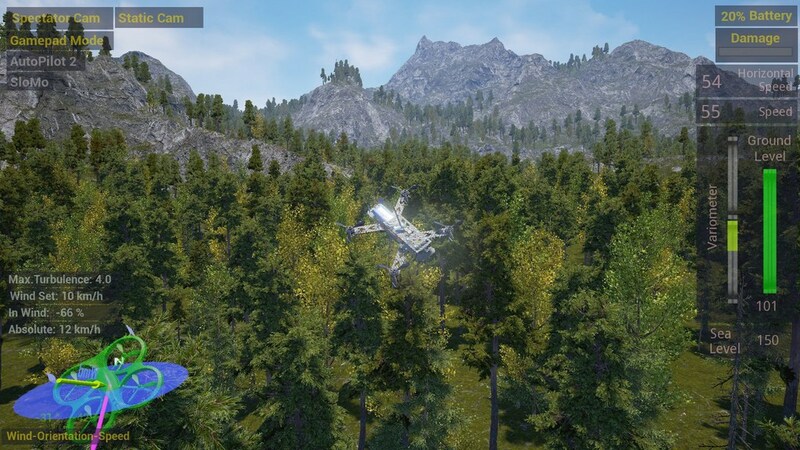 The simulation uses Nvidia PhysX to move vehicles around in the air allowing for a natural reaction to surroundings and inputs, instead of simply setting the positions of the vehicles by scripts. The project is in development since January 2017, with minor framework code already written in 2016. 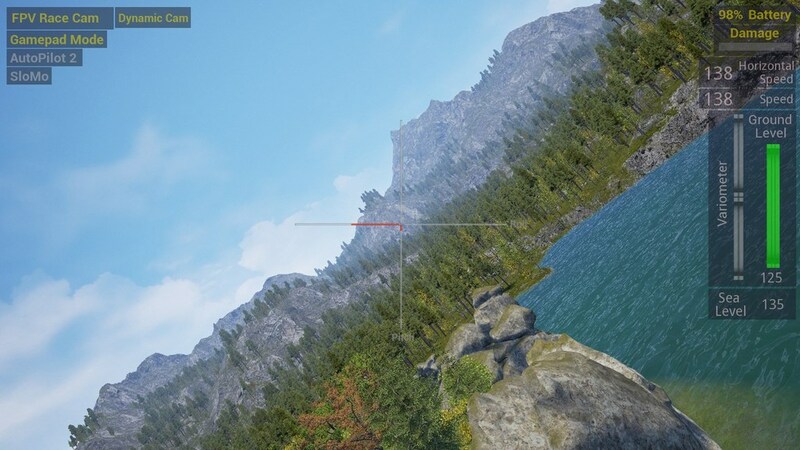 The framework engine is Unreal Engine 4, which allows for decent development speed. 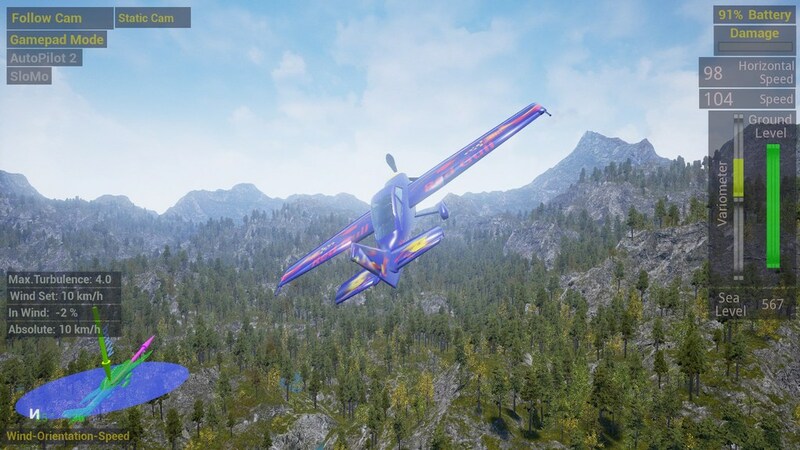 The goal is to have a simulation that provides many different flying vehicles, locations and different kind of races and such. 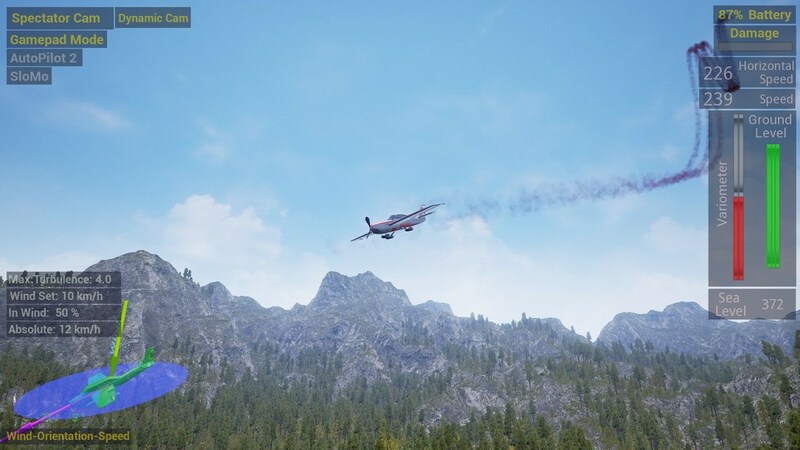 Another goal is to provide a large amount of freedom for tuning your vehicles because there are as many different opinions on what a realistic simulation is as there are airplanes in the sky. 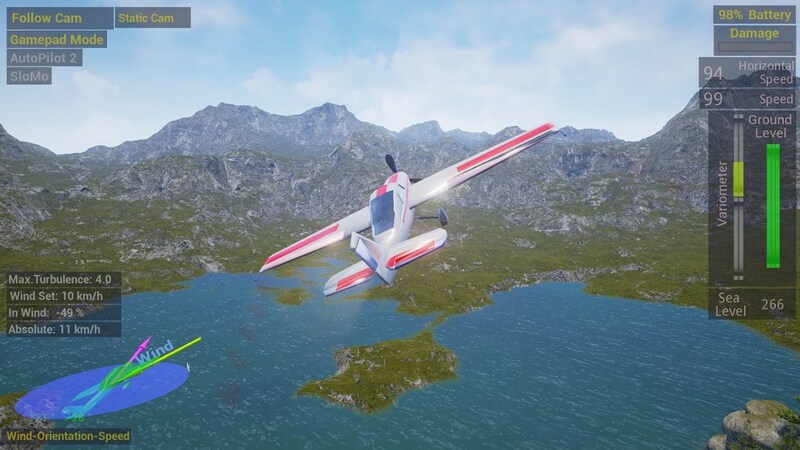 A focus is also put on creating the simulation with as much input from different flying communities as possible, and as early as possible in development, to create a satisfying experience. 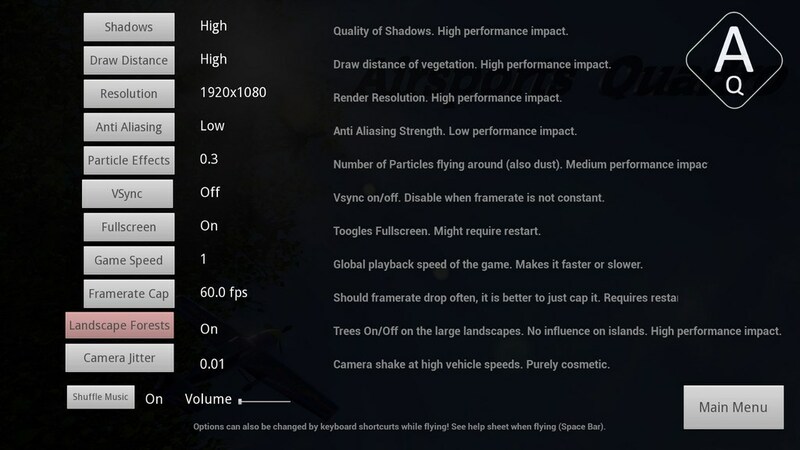 Recommended Hardware: Any medium gaming computer that can run latest AAA titles on medium settings will run Airsports Quadro easily. Game settings are provided in the options menu.